After living in New England for almost seven years, chowder has become a staple in our home and restaurant outings. 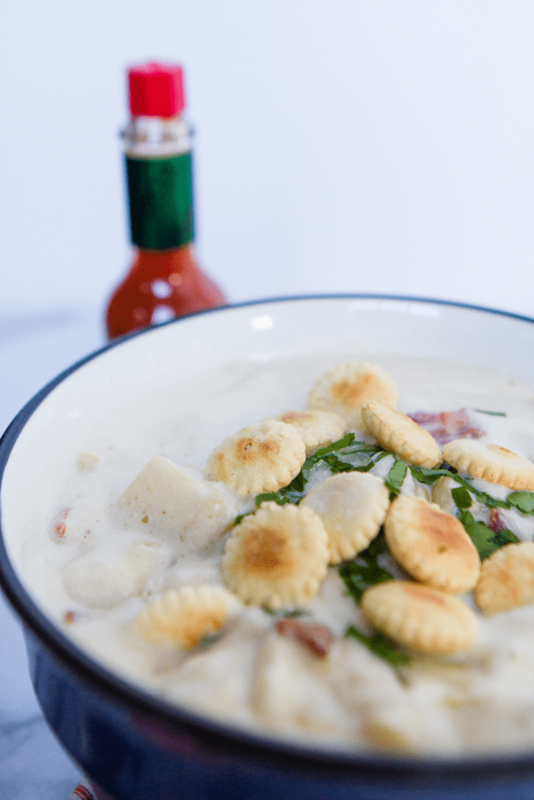 Whether it’s fish chowder like this one or classic clam chowder, even scallop chowder – we love it all. 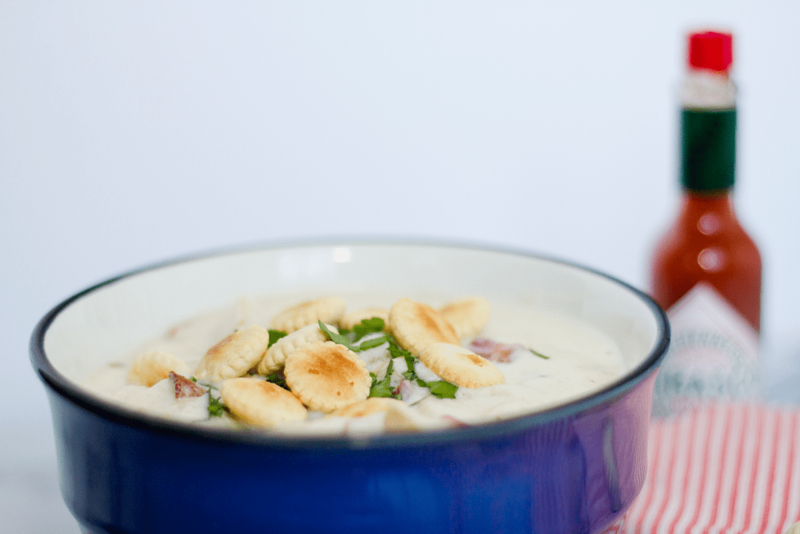 Today, I’m sharing an easy way to make a delicious chowder with fresh white fish. New England can be said to have its very own cuisine – one that focuses on the sea more than the land. The first and oldest-known printed fish chowder recipe was in the Boston Evening Post on September 23,1751. Boston, a city where chowder can be found in every corner and within it lays the oldest running restaurant in the United States. Named the Union Oyster House, this spot serves up a clam chowder with a side of cornbread, no the usual oyster crackers. Crackers are served since traditionally they were soaked in milk and cooked in the chowder. The history of chowder is impressive, but no more impressive than holding a bowl of warm chowder yourself and diving in. This recipe for fish chowder I’m sharing uses barramundi, but you can use any other white fish like cod or haddock. It’s that simple. NO need to add carrots, leeks, dill – and let’s not even talk about that “other chowder” that’s tomato based. We’re in New England, for goodness sake! This New England Style Fish Chowder is rich and luscious, packed with fish, bacon, potatoes, and more. In a medium pot, simmer the potatoes until al dente. Remove and chill. In a large pot, start by cooking the bacon until crispy. Remove with a slotted spoon and add the butter and onion. Cook for 5 minutes. Whisk in flour and cook for another 5 minutes over medium heat. Slowly incorporate the clam stock and half and half. Lower heat and stir in hot sauce. Simmer for 10 more minutes. Drop in cubed raw fish and simmer slowly until fish cooks all the way through. Taste and preseason as needed. Serve with oyster crackers and extra hot sauce. This is beautiful! I can’t wait to give my husband a taste of New England.